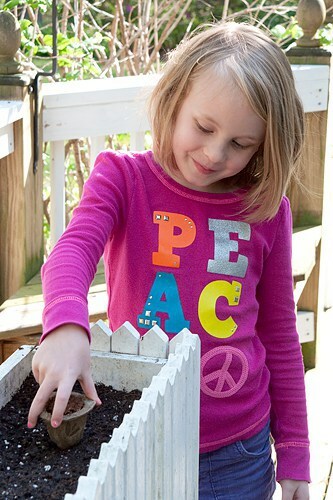 Home » Archives » My Favorite Time of Year – Gardening Season! My Favorite Time of Year – Gardening Season! Every winter I make a declaration that I will not be growing a garden again. Won’t do it. It’s too much work. The deer are too hard to keep out. The birds eat all the blueberries. The squirrels dig up the beds. And every spring I plant. And plant. And plant. Warm weather, moist soil, and sunshine make me forget all about the deer, and the birds, and even the squirrels. I’m drawn to those packets of seeds and tiny seedling plants like a moth to a flame. 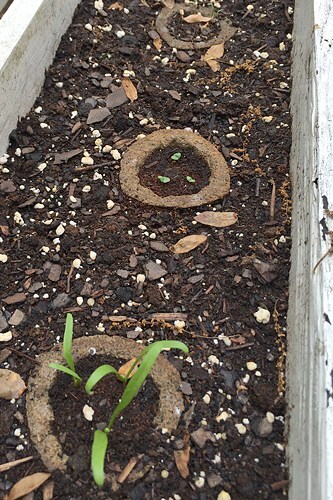 This year, thanks to the people at Scott’s Miracle-Gro, I’m trying a new product – their Gro-ables. Gro-ables are little pods containing seeds and all the necessary nutrients to help them grow into lovely plants you can use in your own kitchen. In fact, the Gro-ables are guaranteed to grow if you follow the package directions. They’re really great if you’ve never tried gardening before or if you’re not known for your green thumb. You simply prepare the soil and pop the pod in. It’s that easy. No worries about how deeply to plant. The pod takes care of that for you. My pods were planted on April 16. I would normally have planted much earlier, but we had a brutal winter and slow warm up this year. And I had the best help with my planting! Our grands were here at that time and our 7-year-old was happy to assist! It took her no time at all to press the pods into the prepared soil and with a watering assist from BeeBop, we were all done! It has been two weeks since planting and we have sprouts in all three of our test pods. The spinach sprouted first followed by the basil and, if you look really, really closely at the far end you can almost see the very fine baby dill plants in the last pod. It’s going to be a while longer before we have plants to harvest, but I’m really looking forward to using my spinach and herbs. I think I’ll make my Pineapple Blueberry Basil Galette or some of my Cucumber Salad with Sour Cream and Dill. So many delicious choices! To learn more about Gro-Ables, watch the video below. Gro-ables come in 17 different varieties. What are some of your favorite recipes to make using the veggies and herbs available from Gro-ables? I’m sure you would enjoy these, Cheryl. They’re the easiest, most convenient way of planting I’ve ever used. Tell M that she looks fabulous. Such a clever idea. I’ll have to look for some when I plant this year.